L’Occitane may request User to provide certain personal data (such as e-mail, mailing address and telephone number) by assuring the confidentiality, protection and due treatment thereof and avoiding any loss, damage, unauthorized alteration, destruction, use, access or disclosure through the use and implementation of safety, administrative, technical and physical measures enabling the protection of such personal data, substantially in the terms set forth in the Privacy Notice of L’Occitane Web Page. In view of the foregoing, L’Occitane seeks to obtain and maintain proper safety levels for the protection of personal information and data of User. The information and data provided by User are destined, in addition to complying with the Sales Policies set forth in L’Occitane Web Page and according to the Privacy Notice, to perform internal studies about the interests, profiles and behavior of Users in order for L’Occitane to provide better services, products and contents that are consistent with the needs and preferences of Users. L’Occitane does not speculate or extract information and personal data from Users without prior authorization. L’Occitane undertakes its best efforts to provide safety to Users; therefore L’Occitane strictly safeguards such database and deems such information as unique and non-transferable. Nonetheless, L’Occitane has hired the services of third parties for the proper operation and execution of L’Occitane Web Page; consequently L’Occitane may transfer your personal data to third parties with no commercial purposes and/or share such information with its affiliates, subsidiaries or related parties in order to provide you a better service. Additionally, User hereby grants his/her express consent to L’Occitane to share information provided by such User, according to provisions of article 76 Bis of the Mexican Federal Consumer Protection Act (Ley Federal del Protección al Consumidor). 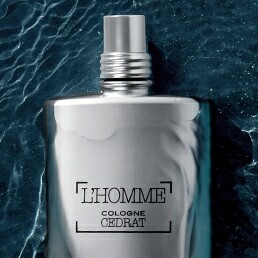 Likewise, and for the purposes thereof, User (i) expressly agrees that his/her information shall be used for marketing or advertising purposes only; and (ii) authorizes L’Occitane to use his/her information for dispute solution purposes, as the same are related to the use of L’Occitane Web Page and for any other uses permitted by law. By Rrequest that his testimony is posted, you agree to be fully bound by the Terms and Conditions Website L'Occitane Mexico, available at the following link and therefore you should read and agree to these Terms and Conditions, considering that they may be modified from time to time. 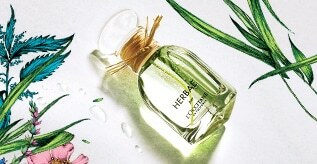 L'Occitane will publish the reviews provided through their website. However not be liable for the comments made by users when they are: incomprehensible, inappropriate, defamatory, malicious, racist, contrary to the Legal Order or no relation to the products concerned. 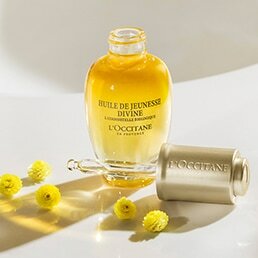 Furthermore, L'Occitane reserves the right not to publish comments that meet any of the criteria outlined above and to change the extension, spelling or certain terms of the views in the interest of moderation or to improve editorial consistency of the website. People who contribute a review, L'Occitane agree to assign the right to use, reproduce, publish, translate and disseminate it in all the media owned by L'Occitane in case that your message not be published will try to contact you to find the best way to satisfy you. We appreciate the time taken to share your experience with other consumers of L'Occitane. Any personal data of User may be modified by the holder thereof at any time, whether through the tools provided by L’Occitane Web Page for such purposes, or through the support toll-free number 01 800 0056435 (service schedule Monday to Friday from 14:30 hrs. to 18:00 hrs. ), or to the e-mail atencion@mx.loccitane.com.